Join us for a meditation hike to Oyster Dome - our final mindful foray into the local mountains to close the season. Hike to the jem of the Chuckanuts: Oyster Dome. 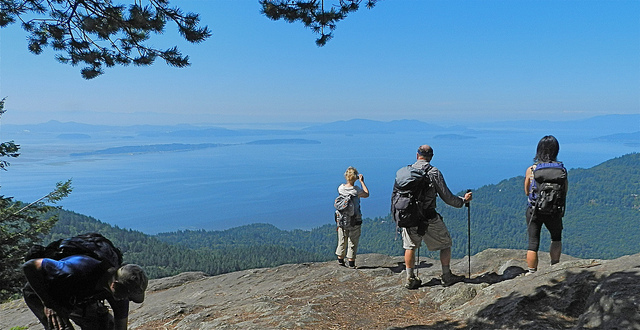 This popular local destination, a prominent rocky outcrop in the the southwest face of Chuckanut/Blanchard mountain, will be our place of Closing the Mountains for the ending of our ritual hiking season. An early start is essential to have sufficient daylight to complete this hike at a modest pace. Meet at the Dharma Hall for carpooling at 8:30am. Those coming from Skagit can meet us at the trailhead (please coordinate with Bob). We'll return to the Dharma Hall about 4pm.